DemoCurmudgeon: Trump's Canadian Dairy agreement of "little use...too small and too far in the future to help." GOP doing nothing about Rural Broadband!!! Trump's Canadian Dairy agreement of "little use...too small and too far in the future to help." GOP doing nothing about Rural Broadband!!! It turns out, Trump is gaslighting farmers for their vote and sending them a $12 billion bride for good measure. But will rural communities and dairy farmers let some city huckster con them? Trump's trumped-up NAFTA renegotiation is a major swing and a miss, doing almost nothing, and get this, the tariffs Mexico and Canada slapped on ag, pork, and dairy products are still in place because of Trump's steel tariffs. 1. The renegotiated trade agreement between the U.S., Mexico, and Canada is of little use to the dairy farmers Trump insisted on helping, Federal Reserve banks in the Midwest are reporting. 2. Gains from the new agreement are seen as “too small and too far in the future to help dairy farmers,” the Chicago Fed reported in the central bank’s periodic report on economic conditions across its 12 districts. 3. The Chicago Fed reports “dairy farmers continued to struggle,” and Canada and Mexico kept their tariffs on pork, dairy and other agricultural products that they imposed in retaliation for Trump’s tariffs on steel and aluminum products imported to the U.S. The FCC's current broadband maps grossly misstate where internet or wireless service exists and where it doesn't. One of the major reasons: The FCC has relied on wireless and broadband companies to report … but the agency doesn't check the data … providers only need to report advertised maximum speeds and not actual speeds. Pai blames the previous Democrat-led administration for creating the problem and says his administration has been left to clean up the mess. But he says this process will take some time to play out. "The maps as they currently stand aren't perfect," Pai said. "But our goal is to make sure with respect to wireless connectivity that we have a clear-cut idea about where those connections are and where they aren't." The Trump ... infrastructure proposal called for $50 billion in rural spending, including on broadband, but so far neither his budget nor the Republican Congress have allocated additional funds for rural broadband deployment. At a Senate Commerce Committee hearing in early October, Democrats and Republicans were critical of cuts the FCC has made to a program funded through its Universal Service Fund, which reimburses some of the costs for phone companies offering broadband in rural communities. Committee Chairman John Thune said Pai had committed to conducting a "thorough economic analysis on funding cuts" ... But no analysis has occurred and that cuts had increased by almost 25 percent. 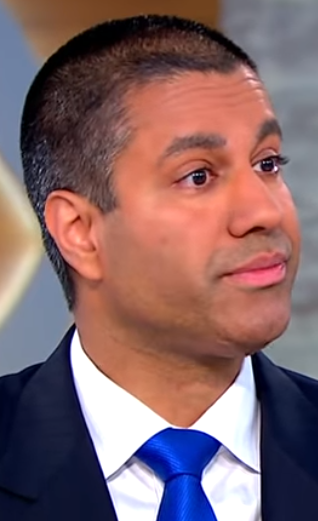 Pai argues that if the FCC limits the fees that big cities can charge wireless companies to deploy their 5G infrastructure, these carriers will be more willing to plow that money into rural broadband. But critics called this a false premise and does nothing more than strip local communities of negotiating power. "Saving money in New York of Los Angeles has zero impact on investment in Montana." But pushing fiber closer to customers or directly to their door is expensive. An FCC report estimated it would take $40 billion to expand internet access to cover 98 percent of Americans and another $40 billion to deliver broadband to 100 percent of the US population.